When it comes to cockroaches, they always leave a spot which helps us know that it’s the right time to control them. 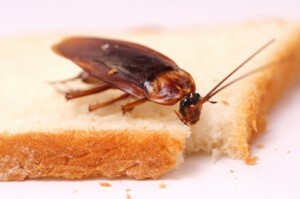 If you have noticed the following in your home, look for a professional or company who can offer the best cockroach control service at an affordable price. To find a professional exterminator, you should ask your friends and family for recommendations and make sure to do a little bit of research. Thanks to the online search engines! They can help you find the best providers and do compare the prices before choosing anyone. Look for an exterminator who enjoys a great reputation in the industry and have positive reviews, and these are some of the most crucial factors when it comes to choosing cockroach inspection service. Always make sure to choose a company which is a member of the national state or have link-ups with the local pest management association. Before you get into any kind of contract, you should first understand the seriousness of the pest infestation. Remember, cost of the services may increase if the removal process starts. If the companies you have chosen offers guarantee on the services, make sure you understand the terms and conditions. Infestations are not so easy to get rid of, and therefore you should always hire a company who can offer the coverage. Previous PostHow To Find The Best Spider Control Inspector?Next PostBuilding And Pest Inspection Services: What Exact Mistakes You Should Avoid?